Berkshire Farms Market at Logan Airport. 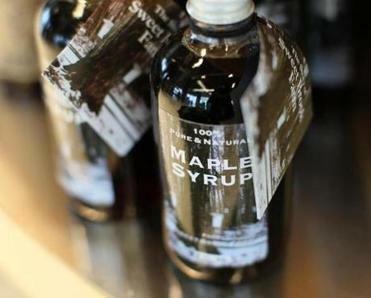 Berkshire Farms Market’s maple syrup from Sweet Brook Farm. The market also serves freshly made, healthy grab-and-go meals, like kale and quinoa salads, sandwiches with free-range chicken, charcuterie with cured meats from New England Charcuterie in Waltham, and desserts from local bakeries such as Salem’s Melita Fiore. With organic juices, smoothies, espresso, and cold-brewed coffee drink, the menu is an upgrade from food-court fare. Michael Levine, cofounder of Taste on the Fly, the California group that brought the market to Logan, modeled it after Napa Farms Market in San Francisco’s airport. Levine collaborated with Berkshire Farm & Table, a nonprofit in Sheffield that promotes food culture. Thomas P. Glynn, CEO of Massport, sees the shop as offering “a sense of place for airport customers.’’ It may also help travelers save face. If anyone forgot a gift for family back home, the goods here are the opposite of typical airport tourist fare. 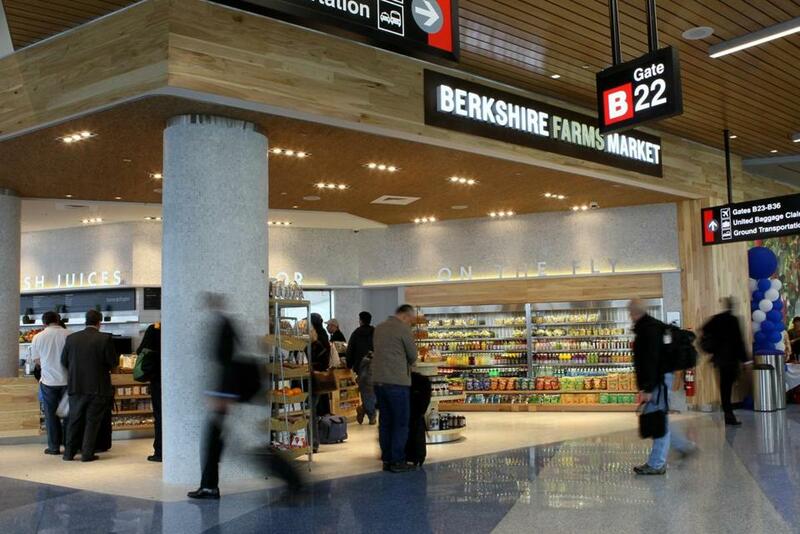 Berkshire Farms Market, Terminal B, Logan Airport.